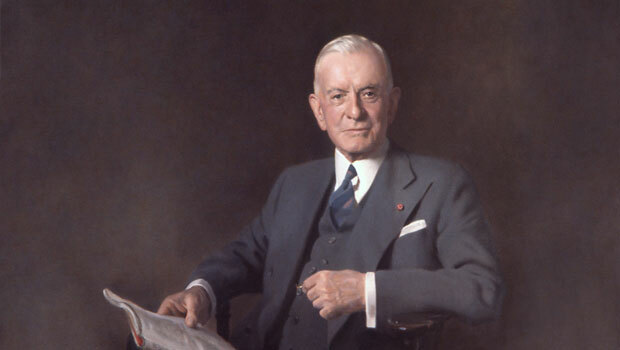 Thomas Watson of IBM: Not as visionary as one might think. Technology. You're soaking in it. It wasn't that long ago that you had to sit down at a computer desk to access the internet, or actually go to the phone to get a pizza delivered. Well flash forward a few years later and here we are, posting video rants on YouTube and ordering sandwiches from Jimmy Johns all while dropping a deuce in the bathroom. Thank you smartphone! Yes, we modernaires rarely get blindsided by new technology anymore; in fact we pretty much expect that everything new and cool that was invented this year will be completely obsolete by the next. But humanity wasn't always so forward-thinking and people actually used to possess an arguably healthy skepticism regarding new-fangled devices and concepts. This, hilariously, led to even our best and brightest minds making wildly inaccurate predictions about the future which now seem completely ridiculous. As they say, hindsight is something something so let's take a peek at a few of these short-sighted quotes regarding the future of modern technology. "But what...is it good for?" -- Engineer at the Advanced Computing Systems Division of IBM, 1968, commenting on the microchip. "This 'telephone' has too many shortcomings to be seriously considered as a means of communication. The device is inherently of no value to us." -- Western Union internal memo, 1876. "While theoretically and technically television may be feasible, commercially and financially it is an impossibility." -- Lee DeForest, inventor. "Who the hell wants to hear actors talk?" -- H. M. Warner, Warner Brothers, 1927. "Radio has no future. Heavier-than-air flying machines are impossible. X-rays will prove to be a hoax." -- William Thomson, Lord Kelvin, British scientist, 1899. "Drill for oil? You mean drill into the ground to try and find oil? You're crazy." -- Workers whom Edwin L. Drake tried to enlist to his project to drill for oil in 1859. "We don't like their sound, and guitar music is on the way out." -- Decca Recording Co. rejecting the Beatles, 1962. "Airplanes are interesting toys but of no military value." -- Marechal Ferdinand Foch, Professor of Strategy, Ecole Superieure de Guerre. "There is not the slightest indication that nuclear energy will ever be obtainable. It would mean that the atom would have to be shattered at will." -- Albert Einstein, 1932.
lol yeah, I think some of those are urban legends.